It’s way too easy to point at a multitude of sources and blurt out, “now that is the reason society is going downhill!” In most cases, with these reasons both being direct and indirect negative influences, I honestly think that the majority of woes in our society can be fixed if not only if we accept Jesus Christ as Lord and Savior, but also if we completely abandon the world’s definition of family and wholly embrace God’s Biblical standard for marriage and raising children. Now I have to clarify something here before I get rolling. Below in this article, there are going to be concepts of the submission of a wife to her husband that are going to seem archaic and downright wrong from a modern, 21st Century, secular, feminist point of view. I will always side with what Scripture declares on any issue as society can and has changed on many fronts about a slew of topics over the course of thousands of years. You, me, and all of us should side with what God proclaims, no matter what the fallout would be for holding such opinions. Culture changes; God’s Word stands forever. I do want to offer this: I firmly believe that in contemporary Western culture that women should have equal status as men in many different ways – in government, in the voting booth, in the workplace, and in the secular “townhall” (both online and in the literal, physical form). I’m all for a female being United States President, being my supervisor at work, receiving equal pay for comparatively same jobs, and so on. What I take umbrage with is the redefining the roles of the man, the woman, and children in the family context. Because of this, we’ve entered a long, downward spiral into a discombobulated morass that has led to skyrocketing divorce rates and single-parent families. It’s as if someone ripped out correctly-sized gears and rolls on a super-long conveyor belt and replaced them with large ones where small ones should have been and small ones where large ones should go. Certain parts will go faster than planned and other sections will move slower…until the whole thing gets jumbled up and ceases to work correctly. So the Biblical definition of marriage and family must be sought after and applied to every household. 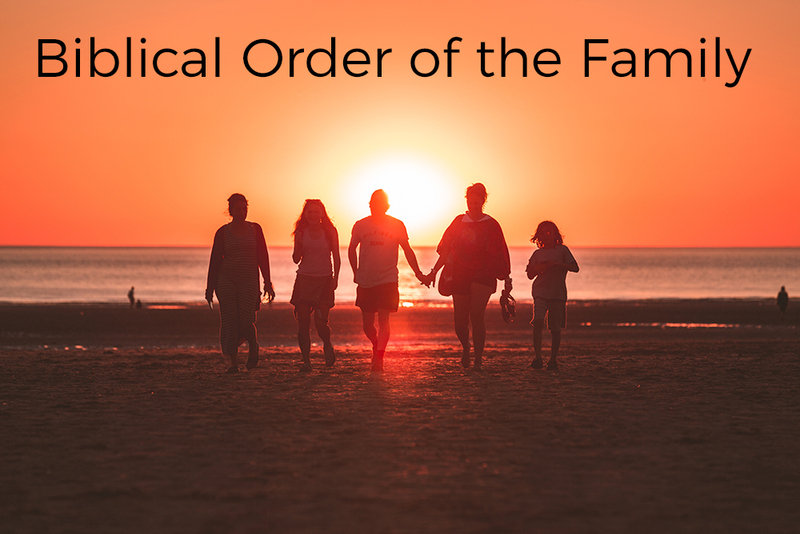 While the Scriptures do not specifically offer a step-by-step order for priorities of family relationships, upon taking the Bible as a whole in context, we can get a pretty good idea of how things should be laid out. A excellent place to start constructing a familial framework would be 1 Corinthians 11:2-16. I encourage everyone to either dig out their Bibles, or carefully read the passage online, to grab the all-important context to sort out this tricky issue. As you can ascertain in verses 3 and 4, the hierarchy is laid out like this: God the Father –> Jesus Christ –> Man –> Woman. We begin (as we always should) with God. Deuteronomy 6:5 proclaims, “Love the LORD your God with all your heart and with all your soul and with all your strength.” It’s one thing to believe in God or a higher power of some kind, but it’s a completely different ball of wax to make Him preeminent in all things in your life. All of one’s heart, soul, and strength should be committed to loving God, making Him the rank above anything else. Jesus Christ voluntarily took that subordinate role under God the Father so that He could become the substitutionary atonement needed for our sins. In order words, blood had to be spilled, and since God loved us so much and required a perfect sacrifice, he sent His Son to do that work in our place for us (1 Peter 2:24 and 1 Peter 3:18). Now being risen from the dead, Jesus Christ is glorified and is the King and Head of the Church. All throughout the New Testament, Jesus is compared to a Bridegroom, and the Church is referred to His Bride. Next in the “pecking order” comes the mortal, terrestrial persons, of which men are preeminent when it comes to family. This may be offensive to those who are raised outside of the church. I still have to confidently stand by this since it is God’s Word. The way the passage starts out in verse 21 – “Submit to one another out of reverence for Christ.” – is a doozy, and a heavy reminder that in all things, we should have a starting ground of practicing humility, selfless love and servitude to one another by submitting to one another in general in the Body of Christ. It’s clear here. God is not calling for a weird contortion of Biblical directive, a “half-Godly/half-secular” interpretation to be applied, nor is cherry-picking and ignoring these verses together okay. We are not to follow a 50/50 approach to who wears the pants in the marriage. And we certainly should not practice the woman being the boss in the house! With that having been said, an unavoidable point needs to brought up: this rule of the man being the head of the woman cannot be abused. Now that is not to be taken lightly! Remember the passage from Philippians quoted above on Jesus Christ humbling Himself to become a man so that he could die for the sins of all mankind? That is the deep, agape love husbands must display for their partners in marriage. The man’s love obviously doesn’t sanctify his wife the way Christ’s does the Church, but the husband should still see his wife’s spiritual growth in Christ as a major priority. In verse 28 of Ephesians 5, it implores men to love their wives as much as they love themselves: “…husbands ought to love their wives as their own bodies. He who loves his wife loves himself.” There is no room for selfishness in the way a husband treats his cherished wife. He has to give his woman that same regard as he does himself, with the utmost consideration and profound love. So in conclusion, there is no macho parading in which the man gets to indulge. There is no room for bullying, cockiness, power trips or greed in this role that men have. Husbands are tasked with the gargantuan responsibility of daily living out the ultimate in self-sacrifice, love, care, honor and respect for his wife. Before we move on, let’s clear a couple of misconceptions or ways that the woman submitting to the husband can get distorted. Misconception #1: Any woman can get bossed around by any man. This is wrong and is clearly outside the realm of any sound Biblical reasoning. Since a husband and wife are, as Ephesians 5:31 quotes Genesis 2:24, “one flesh,” they share a special covenant bond that is sanctioned by God. This does not include any other man, either inside or outside the Church. Misconception #2: A man can give his wife any instruction and she must follow it, even if it contradicts the Word of God. A wife can certainly reason with her husband, and give him input, advice and wisdom when situations arise, but ultimately when final decisions have to be made, the woman should submit to her husband’s authority and be in agreement with him as a unified front. But what about when the husband contradicts the Word of God? This is a bit of a tricky issue and may not be 100% black and white. There is always going to be someone or something what we are to respectfully submit to while we are here in earth. However, when it ultimately clashes with the Word of God, then God must always take preeminence over anything any earthly entity forces us to do. This doctrine I believe is exemplified in Acts 5:29 when the early disciples were told not to proclaim the Gospel of Jesus Christ by the Jewish ruling authorities: “Peter and the other apostles replied: ‘We must obey God rather than human beings! '” I feel the same approach can be applied to just about any other level of human position, whether it be man, woman, or child. Another cause of societal and familial breakdown is the re-prioritization of children. 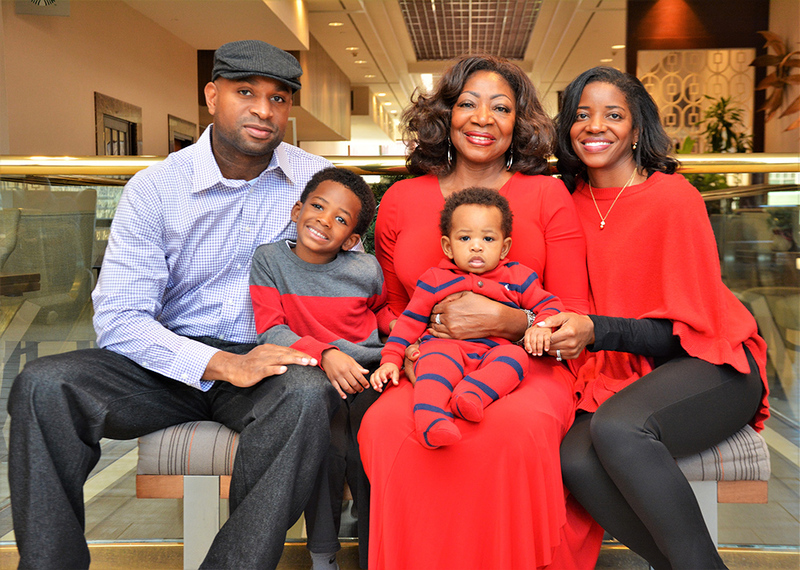 They are not to be made the most important members of the family and rule the roost, as the Bible never directly says nor indirectly implies once the kids are born, the parents are to put them ahead of their spouse. When it comes to earthly relationships, a husband and wife will always be the closest and most important to one another, because through the sacred covenant of marriage, “that is why a man leaves his father and mother and is united to his wife, and they become one flesh.” (Genesis 2:24) The bond of a husband and wife as one flesh is intended to be lifelong. As the verse above states, the children will eventually “leave his father and mother” to become one with his (or her) new spouse. At that point, the adult children are no longer compelled to obey their parents, although Deuteronomy 5:16 tells us to honor our parents so that we may live long and so things will go well with us. Until that age of adulthood, children are to display honor and obedience (Colossians 3:20). 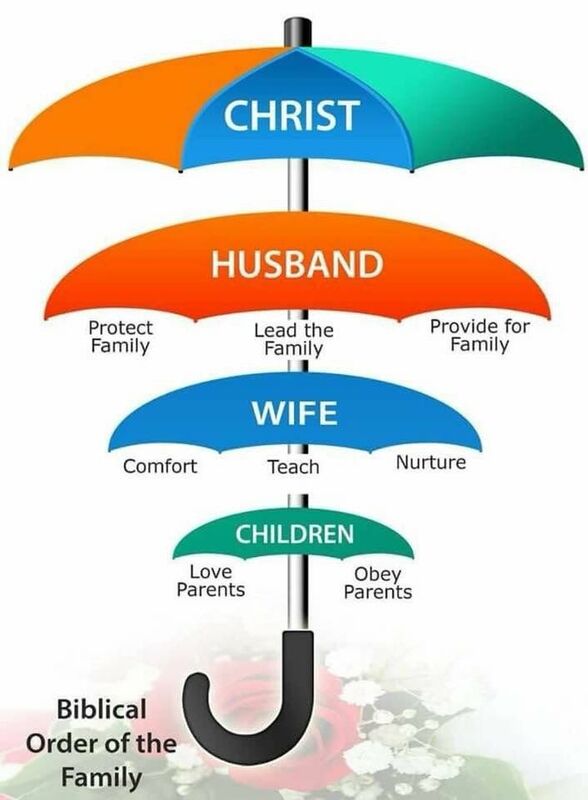 When this hierarchy is followed and honored by Christian families in their home, true balance is achieved and God’s love and grace can flourish mightily. Put it into practice yourself. You may encounter some secular resistance and criticism from outsiders looking in, but you can be rest assured that God will honor and bless this configuration as it is modeled after His plan and design for families. Note: these are not listed in Scripture as complete and favorable endorsing and advocating of whatever institutions may be in society (such as a tyrannical government or harsh system of slavery), but just because they exist. Very gutsy of you to post this in this feminist world, Scott, but it is absolutely true and biblical! Unfortunately, most of the church does not follow and promote this teaching. Keep on upholding God’s Word. Good stuff. I understand your thinking this ‘gutsy’ as most people don’t agree. I’m also happy, as you are, that there are Christians who preach the truth. Awesome word brother, Keep spreading the truth.